Following four rounds of intensive competition, leading premium drinks company Diageo has announced the two World Class bartenders – Sin Kim Shin of Jigger & Pony and Jayden Ong of Sugarhall – who will be representing Singapore at the upcoming World Class Asia Pacific Boot Camp held in Bangkok and compete for the opportunity to represent the region for the Global Finals in Mexico City in August. 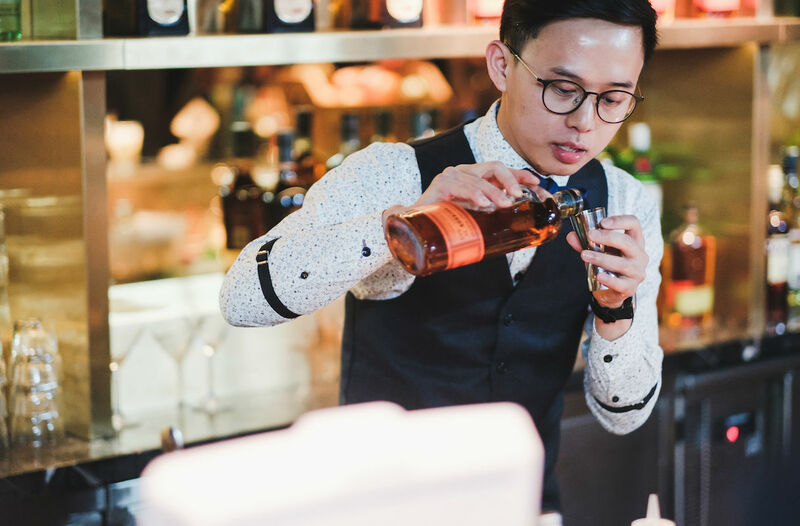 Jigger & Pony‘s Sin Kim Shin and Jayden Ong of Sugarhall have emerged as the winner and runner-up respectively at the Singapore leg of Diageo Reserve World Class 2017, beating out eight other finalists from an initial field of 62 contenders. Sin and Ong impressed judges in the final two challenge rounds, serving up an eclectic mix of contemporary drinks embodying their vision of the future of mixology during the “Shape of Cocktails to Come” challenge, and collectively presented 11 cocktail classics in the “Against the Clock” speed test. Sin and Ong will head for the World Class Asia Pacific Boot Camp in Bangkok next week – it was Bali in the 2016 edition – where they will compete in a regional bootcamp and competition against the winners from Thailand, Philippines, Australia, Hong Kong, and Indonesia. The bootcamp will see participants put through rigorous training to prepare for the Global Finals in Mexico City this August, and the ultimate winner will move on to represent the (rather diverse) region. “Every edition of the Diageo Reserve World Class competition is created with the intent to push the conventions of mixology. Aside from the distinction of being part of such a recognized contest, bartenders participating in World Class traverse new grounds that influence their craft – even beyond the competition. Coupled with the opportunity to hone their skills and to receive guidance from the industry’s best, the programme underpins our mission to help the world drink better,” said Fabricio Marques, Reserve Brand Development Manager, Diageo Asia Pacific. Interestingly this is the second year a representative from Jigger & Pony has won the Singapore leg of Diageo Reserve World Class; last year’s winner Boo Jing Heng worked at the classic cocktail bar for four years before moving on to Tess Bar & Kitchen earlier this year. Not coincidentally, Jayden Ong hails from Jigger & Pony’s sister bar Sugarhall. It could be that the Jigger & Pony Group – whose bars Gibson, Jigger & Pony, and Sugarhall placed No. 14, No. 21, and No. 38 respectively in this year’s Asia’s Best 50 Bars – breeds winners.